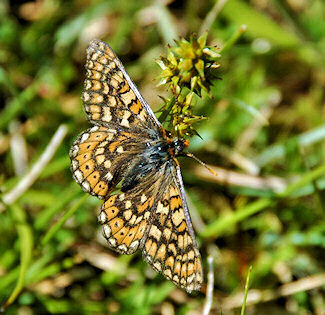 IslayBlog.com -> 2009 -> Good Year for Islay's Marsh Fritillaries? Good Year for Islay's Marsh Fritillaries? 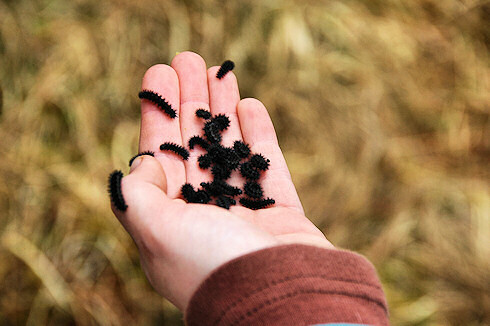 During James How's walk from Ardnave to Sanaigmore we came across a very large number of small black caterpillars, the larvae of the Marsh Fritillary. There were probably hundreds, may be thousands of them in one area. James said he had never seen that many before. We had to be quite careful at times not to step on to them until we had left the area where they were. Let's hope many of them will develop into this rare and beautiful butterfly this summer on Islay.